From Sea to Shining Sea, from Atlantic to Pacific; undoubtedly, America would not exist as the nation we know today had it not been for the indomitable courage and will of our emigrant pioneers--those brave souls who toiled (and died) plying the Oregon and California Trails. 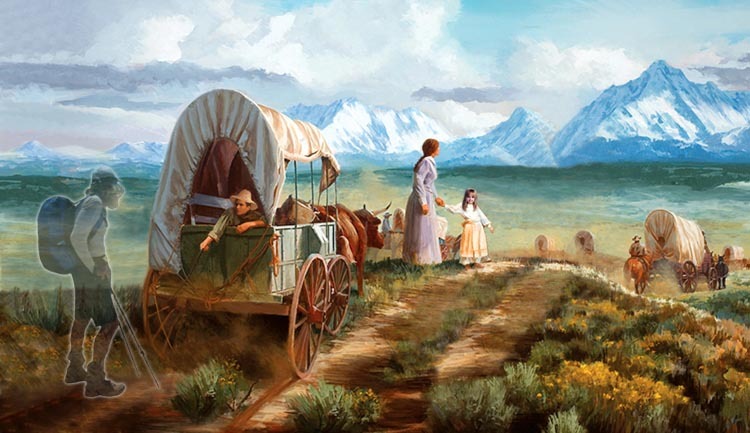 They went west in the l840s and ‘50s in countless thousands; they settled the west. And in so doing, Manifest Destiny, man’s last best hope, became reality--these blessed United States of America. “Born a hundred years too late.” Ah yes, a common lament we’ve all heard from family and friends. But how about 150 or 200! Comes now the old Nimblewill Nomad. Had he been around 200 years ago, he’d most certainly have become a member of the Corps of Discovery. Did his best though, considering how time works. In 2004, lagging a bit behind, (yet 200 years to the day), Nimblewill began his outbound journey with Lewis and Clark. And in 2006, again 200 years to the day (and exact hour), the old Nomad commenced his return. 150 or so years ago? Well, Nimblewill no doubt would have joined that legion of restless souls, those pioneers that journeyed ever west o’er the Oregon Trail. Ah, but last year, lagging behind again just the least, he followed in their footsteps, in their shadow. So now, for Odyssey 2015, to return again to that eventful time in American History, Nimblewill Nomad will journey west once more, with the pioneers--o’er the California Trail. 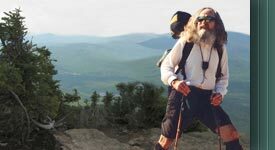 On this journey, Nimblewill will have company, real-time company--another misplaced soul (misplaced in time), a hiker trash friend, Bart Smith. Since they’ve both trekked the Oregon Trail (which follows the same track as the California Trail to Parting of the Ways, Raft River, Idaho), they’ll return once more to Parting of the Ways, from there to continue their respective journeys, this time along the California Trail--to Sutter’s Fort, Sacramento. Odyssey 2015 began on May 28th. This trek, across Idaho, Utah, Nevada, and California, will no doubt prove adventuresome, packed full with the spirit of both past and present. 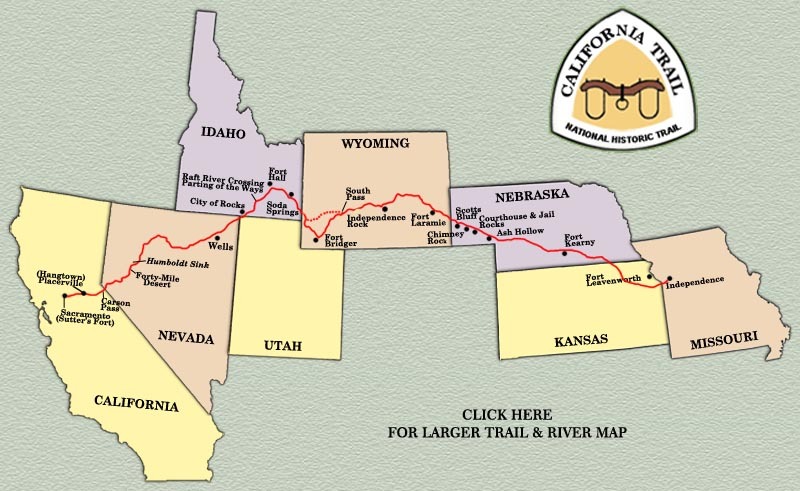 So, why not join Nimblewill and Bart as they journey back in time, to complete their respective treks o’er the California National Historic Trail!